Franish: just because it's on sale doesn't mean you have to keep it. just because it's on sale doesn't mean you have to keep it. 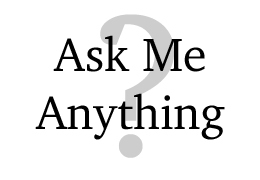 Okay, so it's been a hot second, so lets just get to it. The annual Nordstrom Anniversary sale opened to card holders last week...you may have seen a post or two on the internet about it. This is my second year as a card holder, so I was excited to finally get to be a part of the early access group! Like I've mentioned now a million times, I don't wear my real clothes that much anymore as I wear scrubs to work every day, but I still like to buy a few new items occasionally for that life outside of work, and especially if I'm going to get a good deal! So I put in about five separate orders (after that issue with no one being able to order, I got three of the same order sent to me! ), and have slowly been annoying my UPS man with all the separate orders that came in! 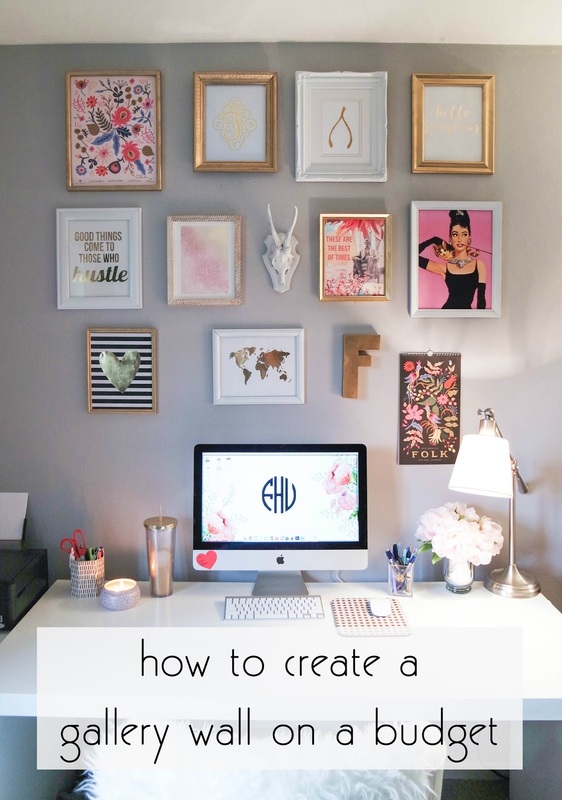 But here's a quick review of what worked, what very much did not work, and what I'm keeping! Just as a disclaimer, some of these things may be currently sold out, but there are so many returns being made during this time that I'd suggest just keeping an eye out and rechecking a few times over the next few days as sizes keep popping back. Okay, let's do all the "omg I hate this" things first. There's really only one item in the "absolutely hate" group, and it's this pair of faux leather leggings from Halogen. I don't know why I even thought these might look good on me, and where I thought I was going to wear them to. I ordered both a medium and a large, and to be honest, I didn't even try the larges on after I tried the above shown mediums. First of all, I don't want my clothes to squeek when I wear them, so that was strike #1. Strike #2 was the horribly unflattering waist band that goes half way up to my bra, and not in a good "really sucking everything in" kind of way...just in a really unflattering way. And then it was just so ill fitting every where that that was strike #3. So back those go, but I also haven't given up on my hunt for cute leather leggings. I've heard so so so many good things about the Spanx version though (see them on Grace here), and finally ordered them after trying on this horrible pair. I ordered them in a size large, and are currently out for delivery, so I'll keep you updated! Okay so next group of purchases were things I liked just fine, but wasn't in love with, and therefore not keeping. First up are a darker pair of jeans from 7 For All Mankind, my favorite brand of jeans. I ordered these in my typical size 31. There is nothing inherently wrong with these - they fit great, are comfortable, and are long enough on me. I just didn't love the whiskering across the front or the faded knees, and since I have heaps of jeans anyway, I didn't want to add a pair that wasn't 100% something I loved, even though the price on these is amazing. If you haven't tried 7FAM jeans though, please get your hands on some - they are so good, and hold up super well. This style just wasn't the one for me. I love shirts I can dress up or down, so O'Neill's longer white blouse was one of them items I was super excited about! The real life version just wasn't what I was expecting, including that the fabric was more sheer and crinkly, the cut wasn't as flattering on me, and it was actually more of an off white/ivory than the bright whites I prefer. I'm wearing the medium here. Y'all know I love a good loafer (they are my favorite type of shoe, and I wear my Michael Kors ones all the time) so I ordered the Born loafers in the red suede, as I've wanted a pair of red loafers for years now! These were extremely comfortable, fit true to size, and not terribly expensive. 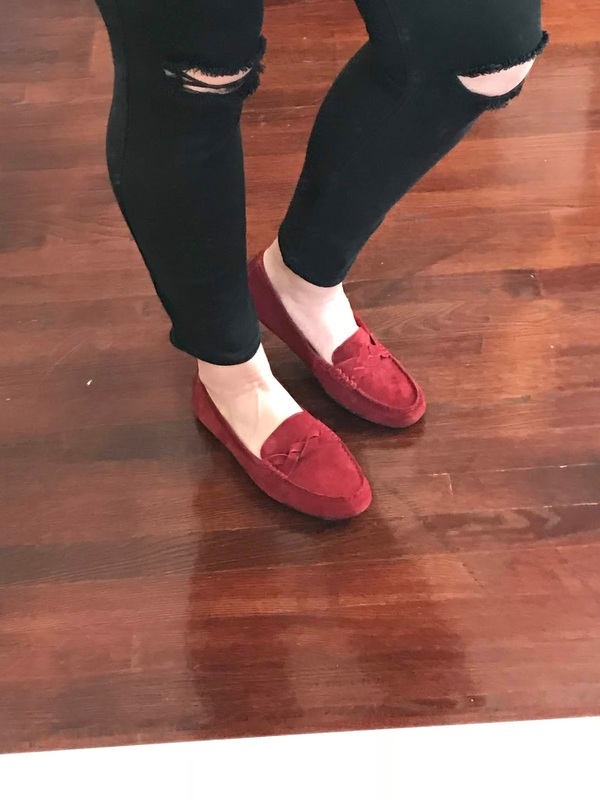 I just personally didn't love the suede, and really prefer a leather version (something I didn't realize until I tried these ones on), so I'm going to hold out for the perfect red leather loafers. If suede is something you'd like though, everything else about these shoes is great. Especially for those of you on your feet a lot, like the medical professionals out there always asking for dress shoes for work, something like these would be a great comfortable option! This next item is a bit silly, but I've wanted a big fluffy sweater like this one for over a year, so I finally decided to try it when it was like half the price it normally is. I just didn't like this $50 worth. Like yes, it's soft, and yes, it's comfortable, but it almost felt way too synthetic to the touch, and it was a bit short on me. Maybe if I was still studying at home/the library all the time, and wasn't at work as much, I could see keeping it, as it is very comfortable, but it just wasn't worth the money to keep to wear once in a while - I have plenty of other sweaters I can wear while lounging on the couch. I've slowly been falling in love with all of Charlotte Tilbury's make up collection. It's pricy but she just makes the most beautiful products (my favorites are her bronzer/highlighter, this eyeshadow quad, and her liquid highlighter - I use them every day! ), so when I saw that she had a special palette for the sale, I immediately ordered it. To be honest, I was a bit disappointed when I got it in the mail just because it's so much smaller than I thought it would be! The individual pans were fairly small, and not something that you'd be able to use every day for a year, without it running out like I've been able to do with her bronzer in this palette. 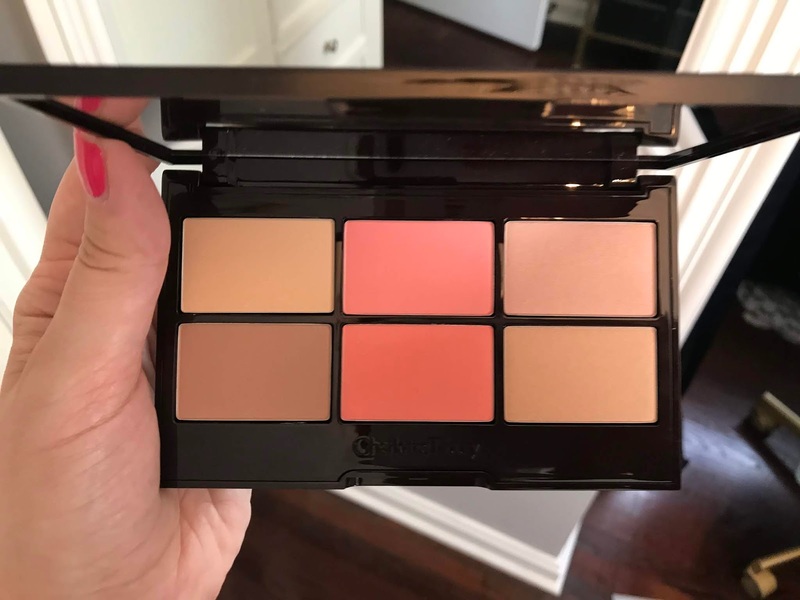 Also when I really thought about it, I don't think I would have used most of the colors in the palette - I would have used the bottom left for contouring, and the top middle for blush, but probably wouldn't have touched the other colors often, and for $75, I really want to use the whole pan, not just $20 worth of it. Looking through the reviews, it seems that others also weren't super excited about it. Okay, now on to the fun stuff - the items I'm actually keeping! Gah, I'm so excited about this pair of olive jeans from Frame. It's my first pair of Frame denim, so I ordered several sizes, and stayed with my normal size 31s here. They are long enough on me, they are higher waisted so they help maintain a nice shape in the hip/stomach area without being HIGH-waisted, and I just really love the color as it's something I don't own much of, but fits in very well in my closet full of whites, blacks, and dark blues. As the reviews note, they are a bit stretchier, so they fit somewhere in between true denim and jeggings, but I find that makes them more comfortable than anything else. I'm already excited for the weather to cool down just a bit so I can wear them. Love love love! 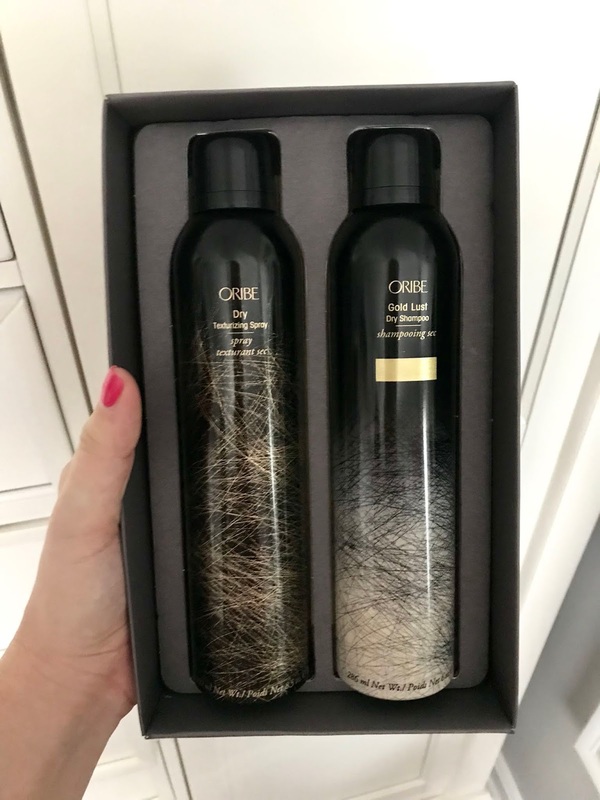 I've been an Oribe Dry Texturizing spray fan for several years now - it adds volume without making your hair sticky, a bottle lasts forever, and it's just such a gorgeous product to have on the shelf. It's also really expensive, which is why I only use a little bit at a time. I saw this set, and immediately ordered it...and then was super bummed when it sold out before it could be shipped to me. But patience paid off as it popped back for a few days, so I was able to get my hands on it. If you have hair like me, thinner that doesn't hold volume or curl well on its own, then this produce will change your hair life. 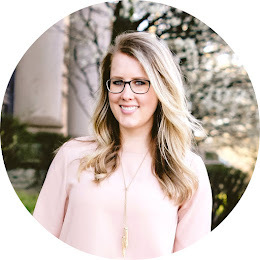 It's my number one product recommendation for hair products! I have not tried the dry shampoo part of this combo, but all the reviews I've read say glowing things, so I'm excited to try it! 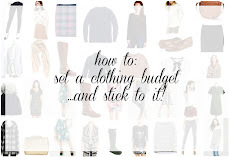 Okay, my favorite item I'm keeping is also the cheapest! I saw this 1.State cami on Krista, and immediately ordered it (having the Nordstrom app on your phone is super dangerous!!!). Gah, I just really like this top. I ordered the white in a medium and large, and then the black version in a medium. I'm keeping the white in the medium. 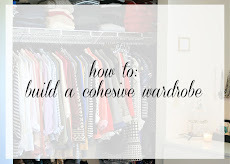 I love this for under cardigans and blazers - the sheer panel on the neckline is enough to keep it interesting, but not enough to be distracting, so it's super versatile. It lays nicely (mine need to be steamed before actually wearing it), and is just overall so stinking cute. I decided not to keep the black version just because you couldn't see that sheer panel as well, and I really only need one new cami, so I stuck with the white. This is another one of those items that keeps popping back in and out of stock, so keep an eye on it! 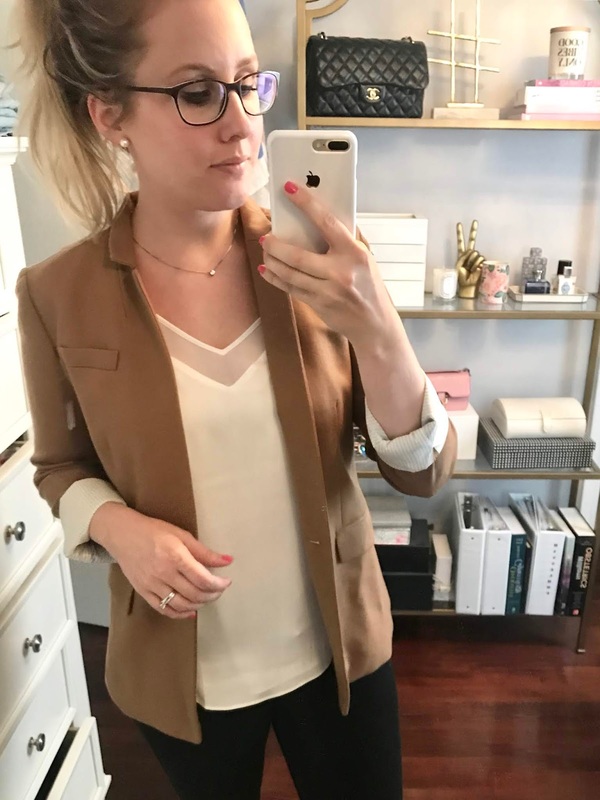 Here it is below with my fave J.Crew blazer!